On October 5th, a few short days after the devastating rejection of the agreements between the government of Colombia and the FARC (Revolutionary Armed Forces of Colombia), a march of thousands for peace took place in Bogota. This march was led by students, although many more participated, and ended up in the central Plaza Bolivar. After making a strong presence, a permanent peace camp was set up in the Plaza. Students, churches, and many other organizations set up tents in the plaza, claiming they will stay in a permanent camp in the Plaza until an agreement is signed and implemented. Here is an early article written about the camp, from the Washington Post. 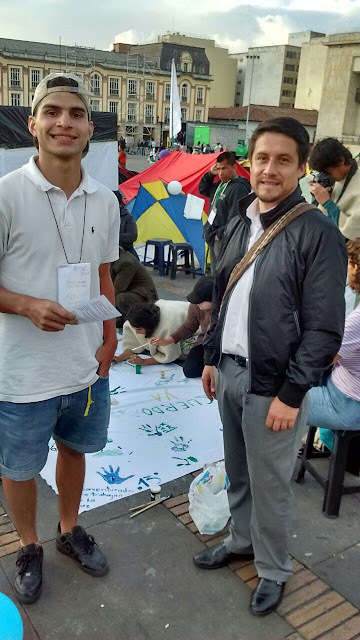 DIPAZ (Inter-church Dialogue for Peace), which the Colombian Lutheran Church is a member, has set up a tent and its various members have been rotating, maintaining a permanent presence, demanding peace. I was able to visit the camp last week and listen to the songs being sung and the stories being told. I was able to see the relationships being built, all with the purpose of demanding peace. 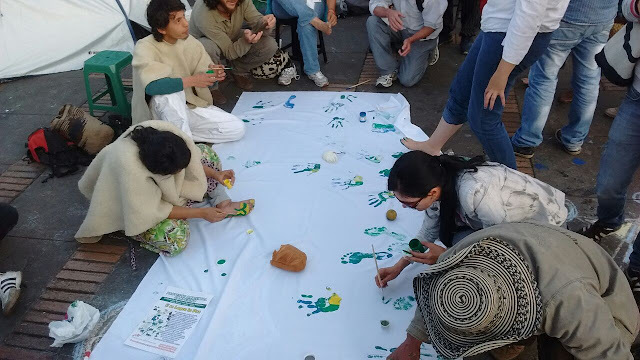 Members of the permanent camp making peace foot and hand prints. Photo submitted by Pastor Nelson Celis. Pastor Nelson Celis of St. Paul Lutheran Church in southern Bogota and Daniel Padierna who came from the Emmaus Mission Lutheran Church in Medellin to visit the peace camp. Photo submitted by Pastor Neslon Celis. 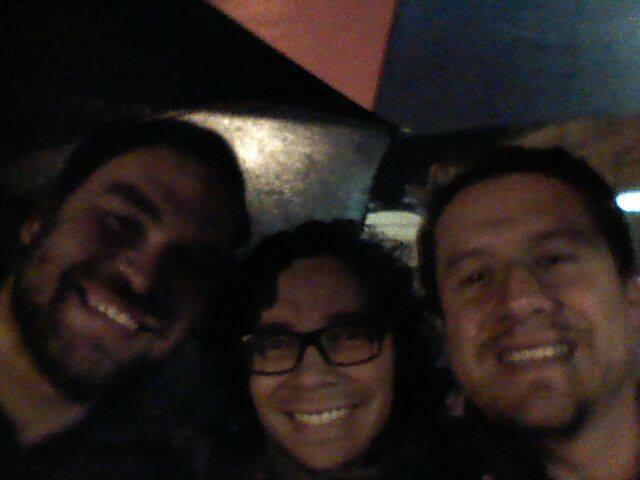 Left to Right: Curtis, Andres Alba, and Pastor Nelson Celis, manning the tent in a heavy rainstorm. Photo by Pastor Nelson Celis. P.S. Thanks to everyone and all your prayers for the Ojeda family, and for little Laura. We first shared her story here. Laura was a child of IELCO, the niece of Zulma (Katie's co-worker) and the granddaughter of Benjamin (the former bishop). 18 months ago she was diagnosed with very aggressive brain cancer. Last Monday, October 10, Laura completed her Baptismal journey at the much too young age of 11. Please continue to keep the Ojeda family, us, and all who mourn in your prayers.